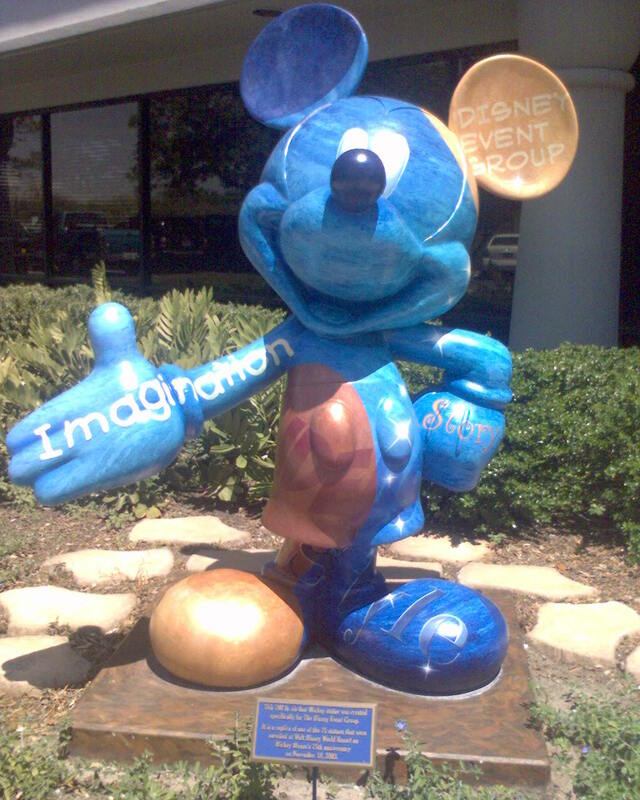 LAKE BUENA VISTA, Fla. -- In honor of Mickey Mouse's 75th anniversary, 75 of his friends have created a once-in-a-lifetime tribute called "Celebrate Mickey: 75 InspEARations," an artistic showcase on display at the Magic Kingdom at Walt Disney World Resort through April 2004. Unveiled at the theme park in grand fashion on Nov. 18, 2003 -- 75 years to the day Mickey made his debut in "Steamboat Willie" -- 75 statues of Mickey Mouse salute the remarkable career of the beloved Disney icon. The "Celebrate Mickey: 75 InspEARations" program brings together Disney Legends, artists, actors, athletes and musicians who lent their creative inspiration to uniquely designed statues of the famous mouse -- each standing six feet tall and weighing 700 pounds. All 75 statues will be on display around the Magic Kingdom's entrance through April 2004. 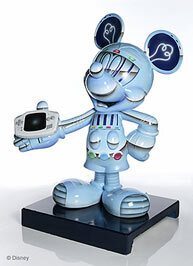 Afterward, they'll visit cities across the United States and the Disneyland Resort in Anaheim, Calif. Sotheby's will auction every statue in 2005 with all proceeds benefiting charities chosen by each artist. I took these pictures myself on 11-22-2003 at the Magic Kingdom. Video Clip of the 75 Mickey's !!!! There are actually 78 Mickey Statues!!!!! Thanks wdwmom2 and Laura for all the info!!! Check out Laura's scrap book pages she has made. Don't forget to check out my WDW and Universal on ride video page. Major League Baseball ® National Pastime Mickey Major League Baseball Charity, Inc. This info provided by www.wdwmagic.com Thank you.